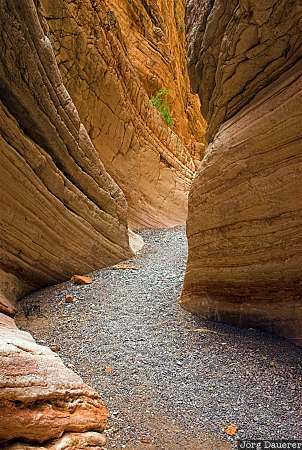 The sandstone formations of the narrows of Lowell Slot Canyon near Lake Mead. Lake Mead is in the south east of Nevada in the west of the United States. This photo was taken on a cloudy day in October of 2006. This photo was taken with a digital camera.